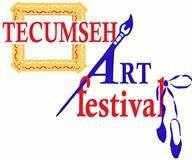 The Fourth Annual Tecumseh Art Festival takes place this Saturday and Sunday at L’Essor High School. The festival is billed as a community celebration of visual & performing art and features professional artists, performing artists , street painting and chalk art. Hot and cold beverages and light snacks will be available.